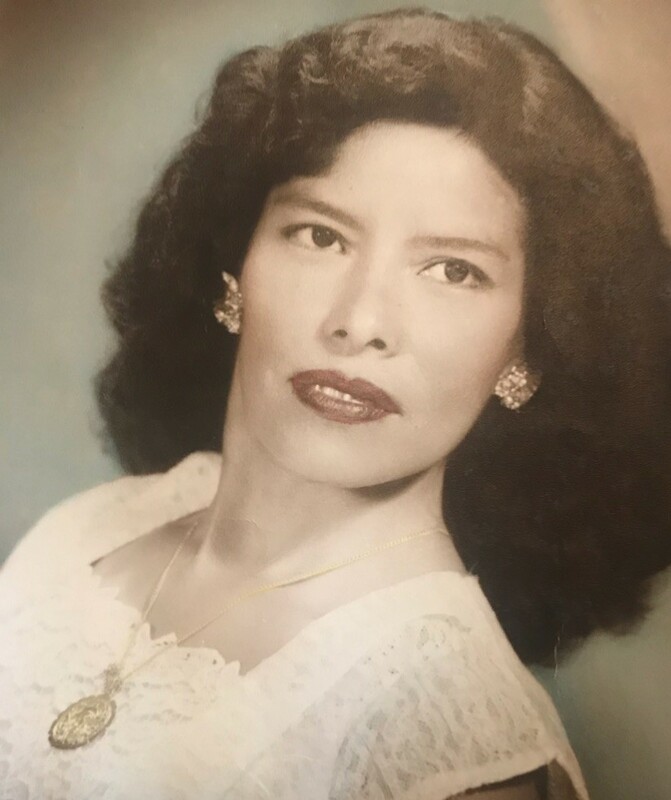 Victoriana H. Campbell, 95, passed away on Thursday, September 20, 2018, in Brownsville, TX. She is preceded in death by parents, Maximiliano and Macaria Hernández; husband, James Vernon Campbell; sister, Claudia Gester, and brothers, Felipe Hernández and Pedro Hernández. Mrs. is survived by nephews and nieces, Hermina Guevara, Sofia Guevara, Rosa Knight, María Guadalupe Torres Ramírez, Gracie Phipps, Raúl Guevara, and Maria Guevara. Visitation will be from 12noon to 9 pm Sunday, September 23, 2018, at Garza Memorial Funeral Home. Funeral services will at 11:00 am Monday, September 24th, 2018 at Garza Memorial Funeral Home. Burial will follow at Buena Vista Burial Park.